Royal Sun Alliance, or RSA at it is otherwise known, is a giant in the international health insurance industry. Originally founded in 1710 in the United Kingdom, RSA is an insurance group that specializes in travel, medical and motor cover. Its position among the top insurance providers is evident in its approximate 17 million worldwide customers and global workforce in excess of 22,000 people. While maintaining its head office in the UK, RSA is a global entity with numerous offices located throughout North and South America, Europe, the Middle East and Asia. RSA members resident in Thailand can contact the representative office in Singapore for customer support and associated services. With over 300 years of insurance related experience, RSA guarantees its members high quality and personalized support. 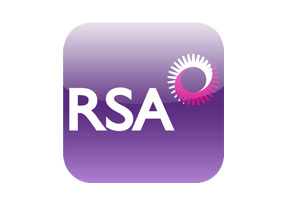 RSA offers its clients unique and innovative policies which can be adjusted or tailored to meet the needs of specific individuals, groups or corporations. These policies can sometimes also extend coverage to certain provisions and benefits that other insurers may be reluctant to cover. It is company policies such as these that make RSA the popular insurance provider it is today. My family at home in the UK has been using RSA for over 20 years and I am happy to carry on this family tradition. I was relocated to Thailand a little over eight years ago and RSA has been my provider ever since I got here. They have been really helpful when I’ve had to renew my policy and when making a claim for reimbursement. My plan is flexible enough to cover all aspects of my work and social life. Living in Bangkok can be pretty hectic at times so not having to worry about health insurance is a relief. In my spare time I enjoy going diving, trekking and taking part in a number of other outdoor activities popular in Thailand. RSA have been very accommodating with my coverage and their administration team has reassured me that they will be there to support me in the event I suffer a sports related accident or illness. Most of my friends also use RSA as their health insurance provider and with this kind of service it is easy to see why! We would be delighted to forward to you more detailed information on RSA or any other health insurance provider found on this website. You can apply for this information by either completing the details section at the top of this page or by directly contacting our support and research staff here.